The multitalented Enrico Stinchelli, born in Rome, is writer and presenter of the popular radio show La Barraccia, aired on Radio Tre (Italian National Radio) since 1988. As a musicologist he has won acclaim for his many published monographs and collective studies. He served as musical consultant for Luigi Comencini’s cinematographic production of La Bohème starring José Carreras and Barbara Hendricks. As a stage director Mr. Stinchelli made his debut with Leo Nucci. His most successful opera productions have included Tosca, Barbiere di Siviglia, Fedora, Aida, Carmen, Norma, Trovatore, Rigoletto, Falstaff, Gianni Schicchi, Otello, Traviata, and Attila. He recently directed Traviata, Aida, and Nabucco (Teatro Greco of Taormina in 2015; Malta in 2016); Mefistofele in Pisa and Lucca; Attila (Teatro Comunale di Modena); Turandot in Torre del Lago ( 2016). His original mise en scene of Stravinsky’s Histoire du Soldat at the Rome Chamber Music Festival won critical acclaim in 2016. His new Carmen was performed in the ancient Theater of Siracusa in the summer of 2017. 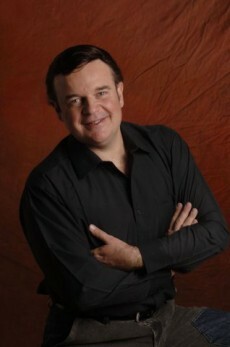 Recipient of numerous awards, Mr. Stinchelli has served as artistic director for many productions in Italy and abroad ( at the Teatro Petruzzelli, among others). He is also artistic consultant for the Torre del Lago Puccini Festival, the Rovereto Mozart Festival, and the Mythos Opera Festival.